Why Do Birds Breed in Summer? Summer is a highly competitive season for birds to raise families, but why do birds breed in summer when there are so many threats to summer birds, from active predators to seasonal storms and a wide range of artificial hazards? Despite the risks, summer meets birds' breeding needs in strong ways that help ensure breeding success. Birders who understand those seasonal needs can help protect proper summer habitats to nurture birds and enjoy all the best of summer birding at the same time. Raising the next generation of any species requires great effort on the part of the parents, and birds have several distinct needs that help them successfully raise their young. Food: An adequate, nutritionally-rich source of food is essential to properly raise chicks. Adult birds need good nutrition to be healthy enough to produce strong eggs and hatchlings, and growing nestlings require frequent feedings of protein-rich foods for proper growth. Water: Not only do birds need water for drinking and bathing, but water nurtures plants, insects, and other food sources birds need to raise their young. Water also provides temperature regulation, and if an area is in drought, bird breeding success will decrease. Space: Birds need an adequate territory to raise their young. Sufficient space and suitable habitat are critical to provide for birds' nesting needs, foraging area, and safe shelter. Birds work hard to claim territory and defend it from intruders during the nesting season. Time: Depending on the species, raising a bird family may take just a few weeks to several months or longer. Birds require adequate time to nurture their young, from when the eggs are first laid and incubated to when juvenile birds first take flight and learn to forage on their own. Birds choose the most beneficial habitats and times to raise their young, and for most bird species, that means breeding during the summer. The summer season is ideal for many birds' breeding needs. While the season does include a range of threats, predators and other hazards, the ways it can accommodate what birds need to raise their families make up for those risks. Longer days and more hours of sunlight during the summer give birds plenty of time to forage to feed hungry nestlings. A greater abundance of natural summer foods, from blooming flowers to breeding insects to ripening seeds and fruits, provides plenty of food for adults and their chicks. Warmer temperatures melt ice and permafrost in northern regions, releasing additional sources of water birds can take advantage of and nurturing plants birds can use. More water and food available in northern areas provide more habitats for birds to use, giving them more space to claim for their familial needs. The summer breeding season is most prevalent in bird species in the northern hemisphere and in areas with distinct seasons. In tropical regions with milder climates, birds may breed year-round so long as their needs are met, such as after a rainy season or during harvest periods when foods are more abundant. Birds that are more adaptable, such as rock pigeons, may breed also breed year-round because they can adjust their needs to suit a wider range of circumstances to nurture their young. Once birders understand why birds breed in summer and how the season meets birds' breeding needs, they can take steps to help birds successfully raise the next generation. Prepare your backyard for summer birds by tending to landscaping and meeting birds' seasonal needs in safe, suitable ways. Provide the best summer bird foods in high-capacity, easily accessible feeders so birds can depend on them as reliable nutritional food sources. Keep bird baths clean and offer multiple sources of fresh water for birds to use for bathing and preening, including moving water sources. Offer safe bird houses and take steps to attract birds with nesting material for species that won't use houses. 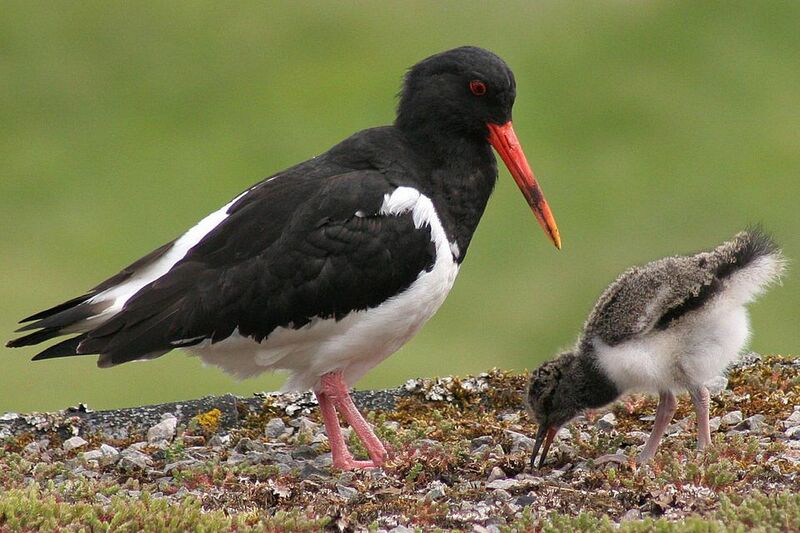 Birds are opportunistic breeders that will work hard to raise their families when the time is right. While summer is the right time for most bird parents, so long as birds' breeding needs are met, they can have great reproductive success. Birders who understand those needs can help birds raise generation after generation so there will always be more birds to enjoy. How Do Angry Birds REALLY Behave?